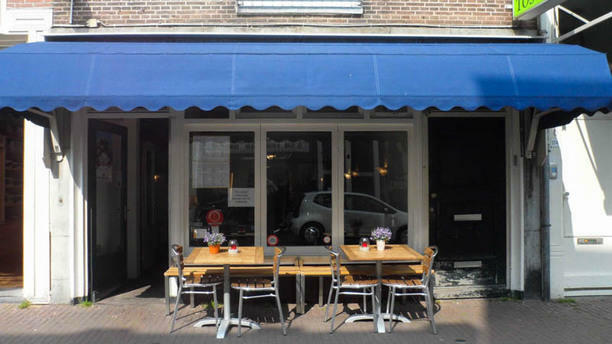 Toscana is an Italian restaurant in the lively Amsterdam West. The interior is sober and classic - like the bar has those golden bars and on the back of it you'll notice a mirror. The best of Italian soil in the shape of a pizza, pasta and grilled fish or meat. And on the pizzas you don't have to spend more than a ten! Food was satisfying and very reasonable. Service and atmosphere friendly. We would definitely return. Small restaurant out of city center. Very good food for good price. Low key, no thrills Italian restaurant for those on a tighter budget. The Movies cinema is right opposite, which served our needs. The staff may lack in routine but was attentive and pleasant. Beer choice wider than wine options. Interior good have some cosmetic upgrade, overall good value for money for what is offered.